Sporting a bold design and luxe interior the Chrysler 300 is ready to upgrade your daily drive at Bettenhausen CDJR. Whether you are looking for a new or pre-owned model, we have plenty of inventory to choose from at our Tinley Park dealership. Why Look at the New Chrysler 300? When searching for a Chrysler 300, make sure you check out our rotating new vehicle specials. 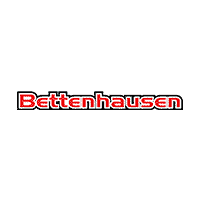 Then drop in Bettenhausen CDJR or contact us to set up a test drive today!